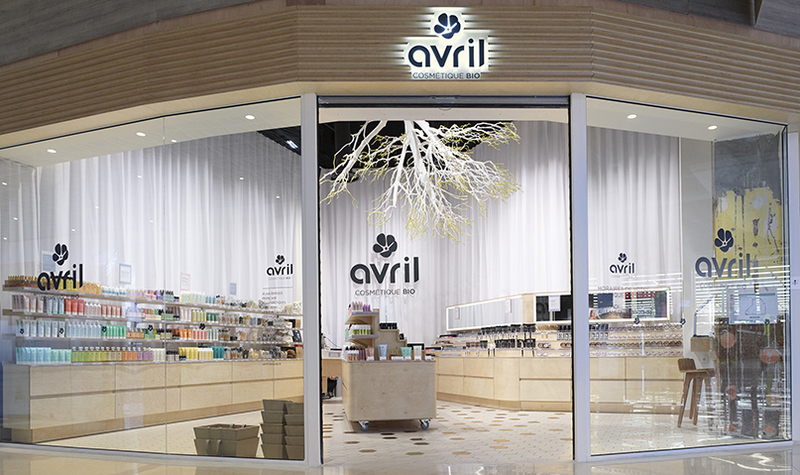 For its first store in a shopping center, Avril chose Noyelles-Godault and its bright contemporary renovation. 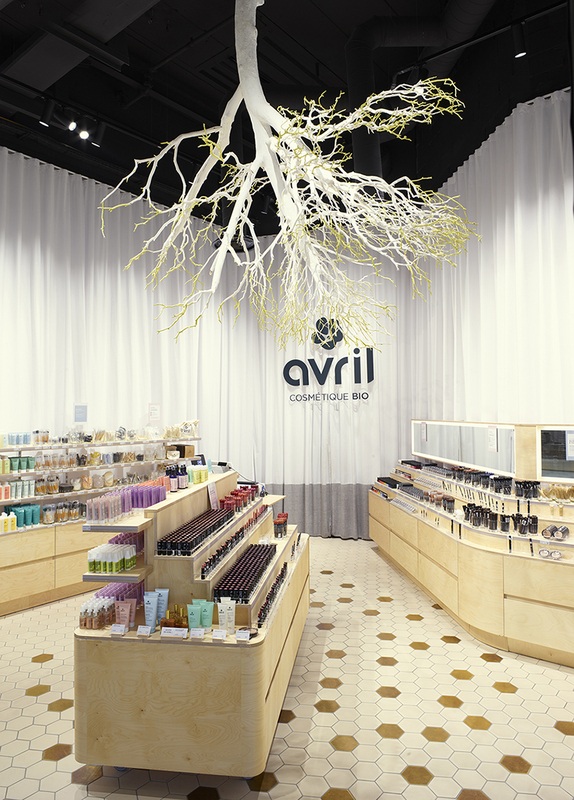 The architect Guillaume Da Silva has created a theatrical concept thanks to the big height and the very large glass window of the shop. The white drapes pleated all the way up give it a luxurious and spectacular side, reinforced by the upside down tree that falls from the ceiling.